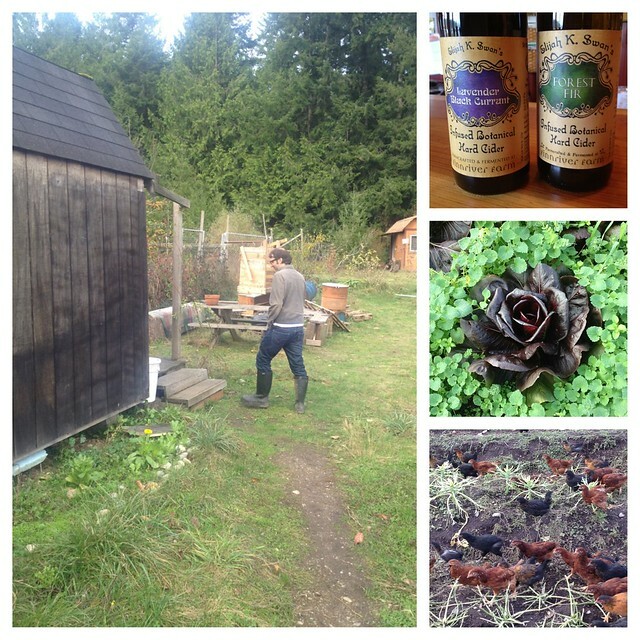 Hey, did you know I got to write about my month at Finnriver Farm for Edible Seattle? Grab a copy or a dozen of the November/December 2012 issue and read all about that memorable January. (UPDATE: My article is now available FREE in the Edible Seattle online archive: Chicken Friends and Mummy Berries. But you should still subscribe to the magazine.) To celebrate my published article I decided to take a (too-brief) return trip to the farm and check out what’s happening. As you can see in the photo above, I revisited the old cabin, saw some baby chicks, gazed at beautiful lettuces, and (of course) sampled some new ciders. These limited edition ciders were a pleasant surprise. Whether cooking, baking, or fermenting with lavender, it’s a slippery slope. One minute you have something subtly infused, the next minute you have soap. The Lavender Black Currant cider had just the right amount of lavender and was a wonderful accompaniment to the black currant. This cider would make part of a great braise for lamb or to deglaze a pan and make a sauce. The Forest Fir is flavored with tender fir tips. 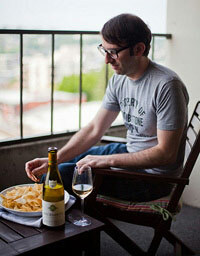 The tips lent a herbaceous quality to the cider that I liked; it reminded me of fresh sage. As Crystie Kisler remarked, “It’s like drinking a tree.” A delicious tree, I’d like to add. This would be great with seafood. Maybe you could poach some salmon in it? 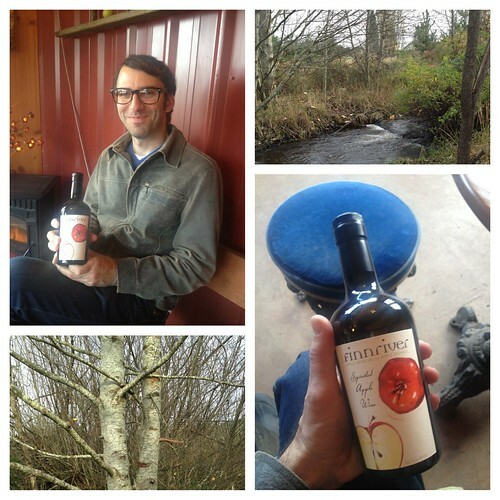 I also got to check out the new package for the Spirited Apple Wine, my welcome companion for those chilly winter nights in the cabin. The squat bottle is pretty cute, and its Port-like shape implies the potency of the wine on the inside. Tasting it (again) reminded me of quiet moments on the farm: watching the Chimacum Creek flow by, speaking with its relaxing rhythm. 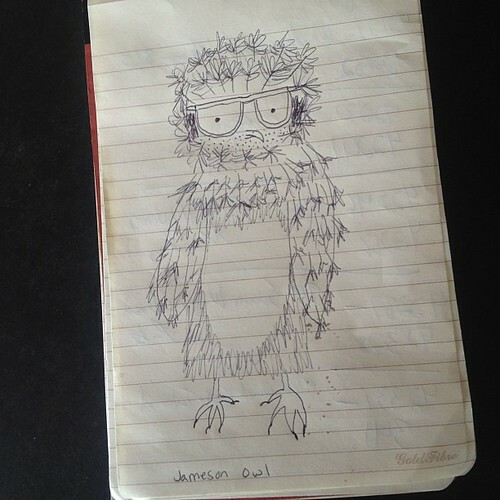 Special thanks to my friend Heather for joining me, taking some photos, rescuing a duck, and envisioning me as an owl. No doubt inspired by our trip to Finnriver.